When you wield our LARP Wing Sword, your movements will seem as light as a feather and twice as agile. 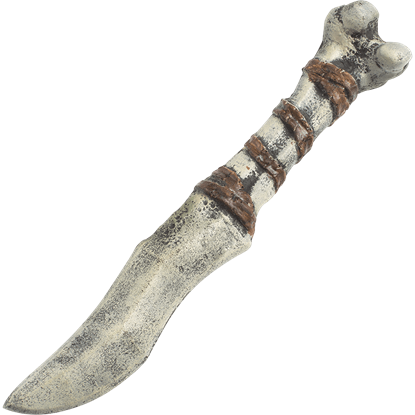 This impressive weapon features an elegant, wing-shaped guard with a classic, straight-edged blade. It is made from durable foam that does not shred and is sealed with a strong coating of latex. 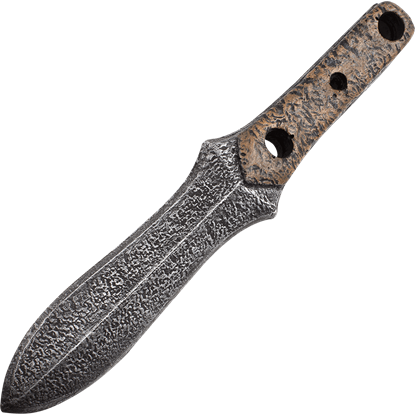 A suede wrapped handle ensures that, even during the heat of battle, the blade remains comfortable to wield. 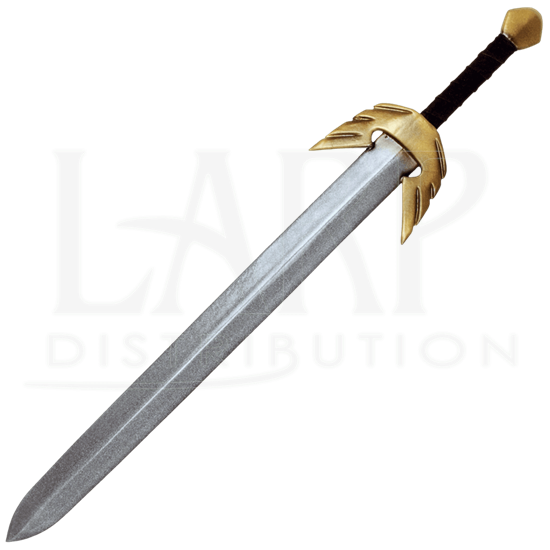 And since safety is always a concern in LARP, this sword also features a round, flexible fiberglass core capped with a strong Kevlar tip for protection. 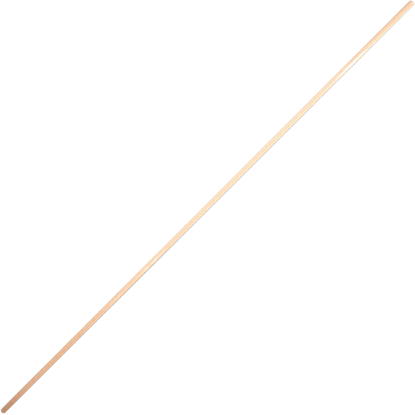 Please be aware that the sword's guard and pommel can be gold (pictured above), bronze, or silver. The suede handle wrapping can be black or brown. We will send what is available. This LARP sword is a handmade item, so its measurements may vary slightly from what it listed below. This LARP sword is a handmade item, so its measurements may vary slightly from what it listed below. Latex weapons do need to be maintained to a certain degree. 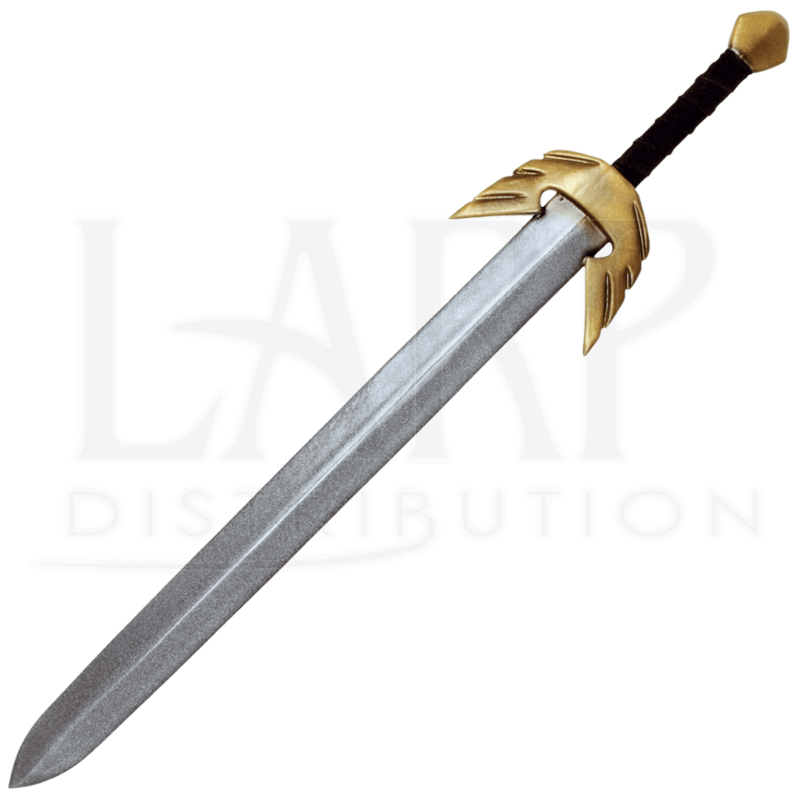 We offer a Maintenance Silicone that can be purchased separately in the LARP Accessories section. We recommend you use the Silicone on a regular basis. It has an easy, spray on application. The silicone will keep the coating flexible and make the weapons last much longer. The maintenance silicone protects the coating from drying out and helps the weapon resist wear and tear. This LARP sword is a handmade item, so its measurements may vary slightly. The picture shows them to have a gold wing, and so I ordered 2 for my new duel wielding character. I was very surprised to find one gold and one dark gray. Otherwise they are exactly what I wanted and are very well made.